OK, maybe it’s not complete just yet – but it will be soon! 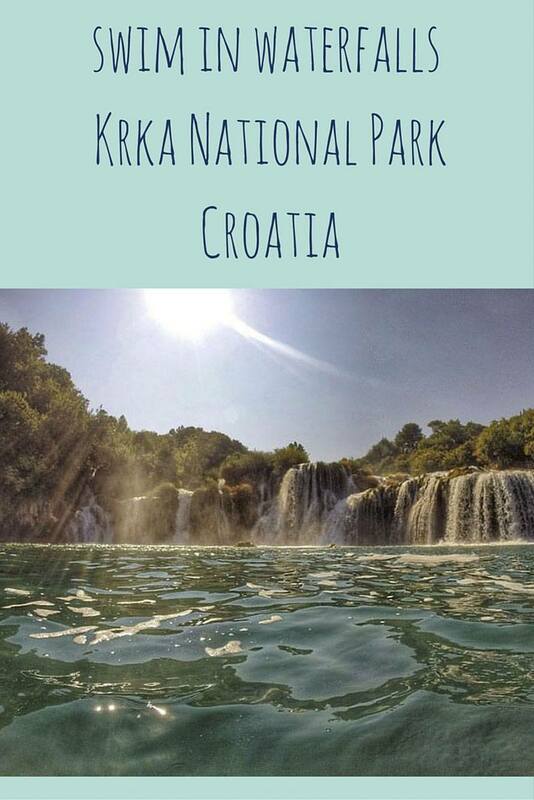 Welcome to our guide to Croatia National Parks. There are eight parks in total and so far we’ve only visited three, but we’re planning to return very soon to complete our visit to all national parks in the country! When I was younger, Croatia was pretty much synonym with partying and cheap beach holidays. The Balkan War had just ended, Yugoslavia had dissolved and the country was affordable, friendly and easy to reach, just across the Adriatic from Italy. Yet, Croatia is so much more than a beach destination. 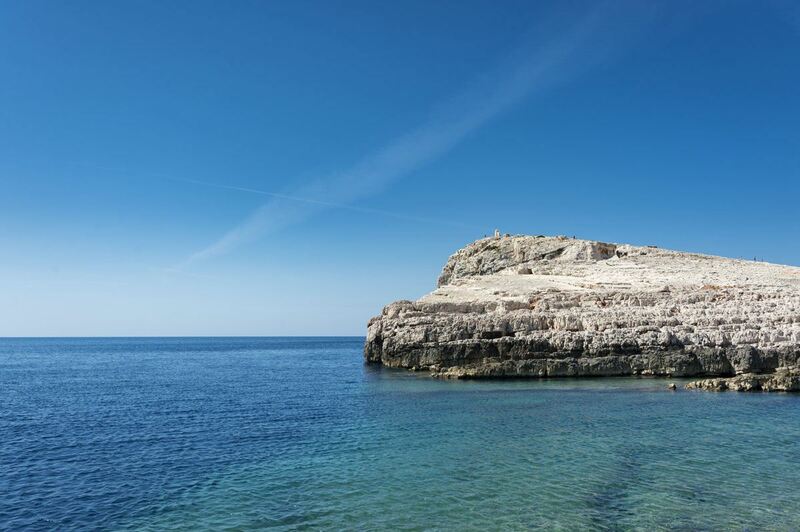 True, there are over a thousand islands in the country – large ones like Cres and Krk, tiny islets, most of which are uninhabited, and even hundreds of rocks dotted around the shimmering, turquoise Adriatic sea. There are also mountains, waterfalls, rivers and deep, wild forests, where wolves, lynx and bears still roam. 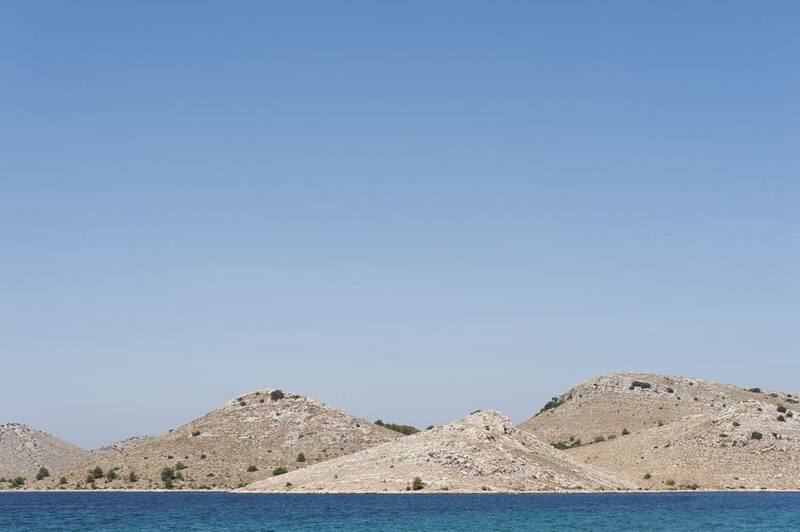 Another view of stunning Kornati – check out the colour of the water! Pockets of wilderness still survive in the country – you just need to visit one of Croatia’s eight national parks to see what I mean. 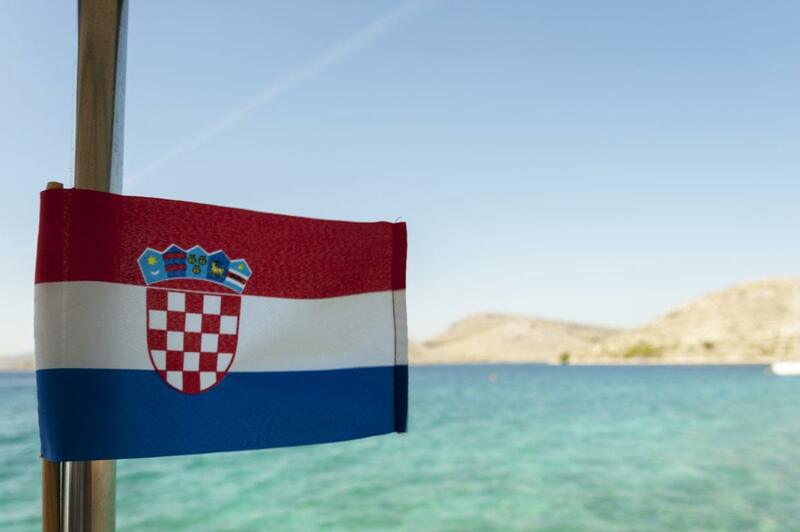 Just bear in mind that Croatia is a VERY POPULAR destination for summer holidays and tourists from all over Europe visit in droves, especially in July and August, and national parks can get very busy. 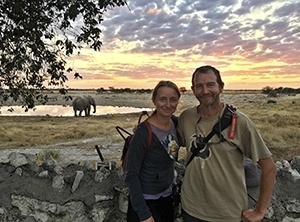 Visit in the low season if you get a chance, and you’ll enjoy carpets of wild flowers, autumn foliage or the magical winter silence – and you’ll have the added benefit of few other tourists. 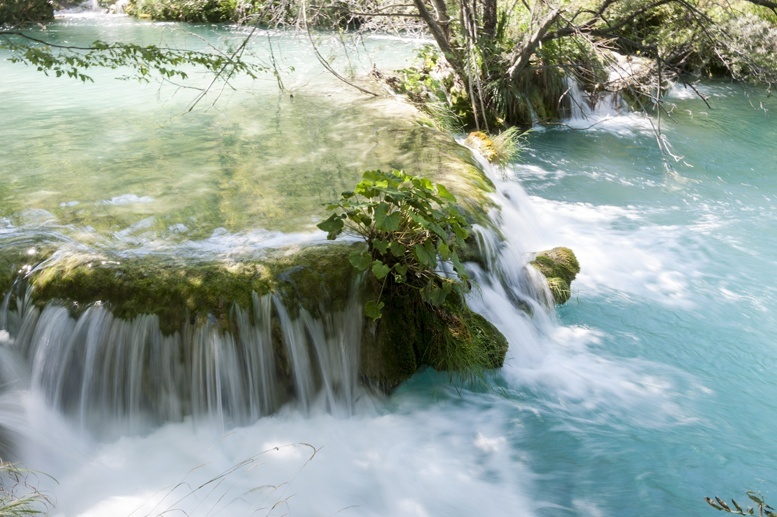 Here’s a guide to the eight Croatia National Parks – for the three we’ve visited we included in-depth info on how to get there, and what to see and do, and the remaining five only contain an overview of the park and what to do there. 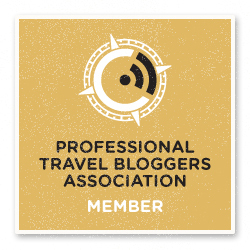 This post will be updated as we return to Croatia to visit all eight national parks – hopefully very soon! The Kornati Islands National Park, located just off the coast between Zadar and Sibenik, is perhaps the most unique of all Croatian national parks. 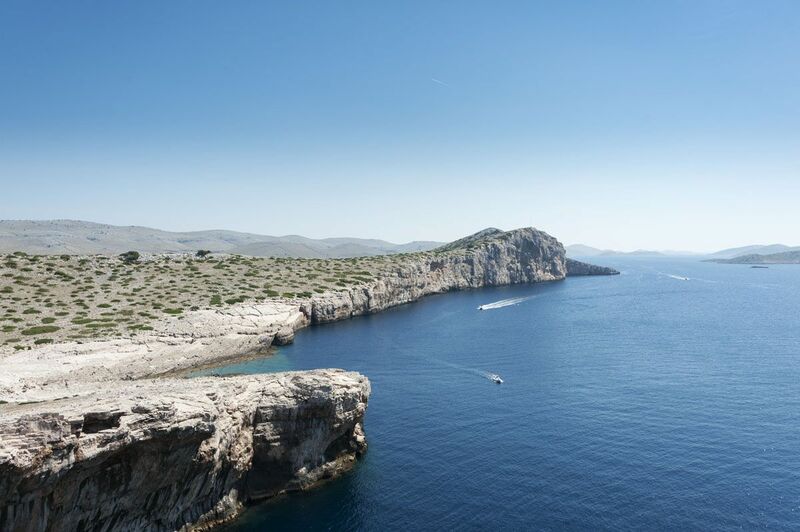 Have a look at some aerial pictures to see why – there are 140 islands in an area that is only 35 kilometers long, making the Kornati Islands the densest archipelago in the Mediterranean sea. Can you see the islands on the horizon? 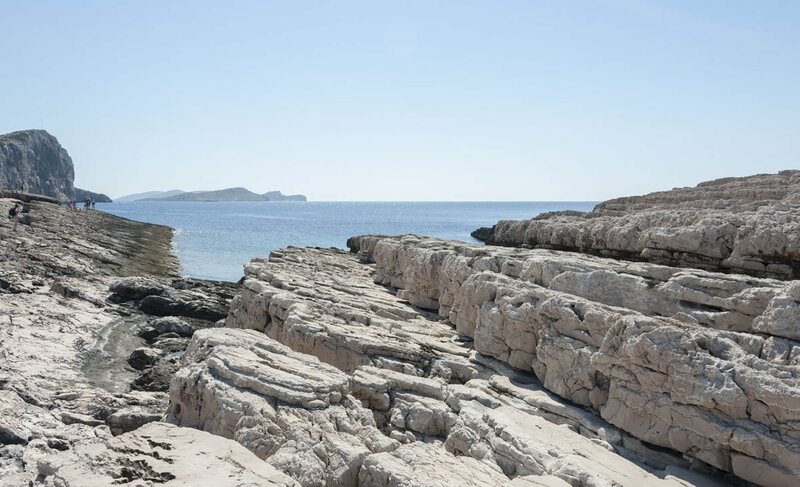 Some of the islands are tiny rocks, others are a few kilometers across – Kornat, after which the archipelago and national park take their name, is 32 square km. The islands are the result of land uplift from the bottom of the sea, resulting in the myriads of islands and islets that we see today. Some islands have an almost-perfect conical shape, while others present sheer rock faces called ‘crowns’, that can be as high as 80 meters. 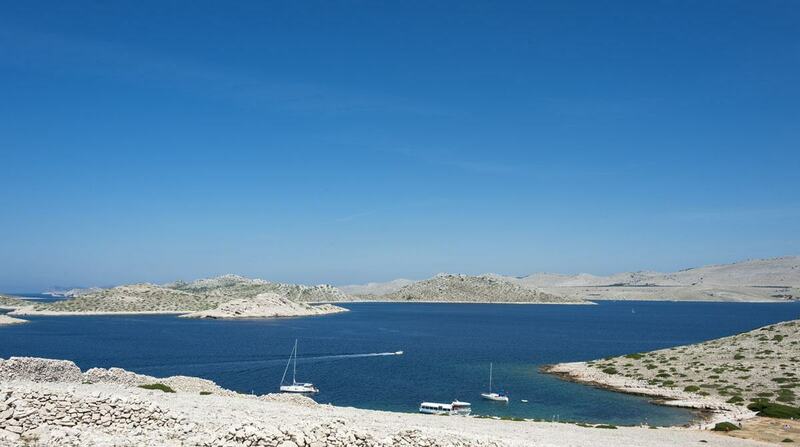 The Kornati Islands are famous in the yachting world for being one of the best sailing destinations ever. And it’s easy to see why. On a bright summer day, the sea is calm and sapphire-coloured. A gentle breeze blows the sails while the scenery changes at every turn – first a larger island, with some fishermen houses cooking up fresh fish for lunch, then a bunch of islets, deserted save for some sheep grazing the maquis and birds circling overhead. How clear is that water! 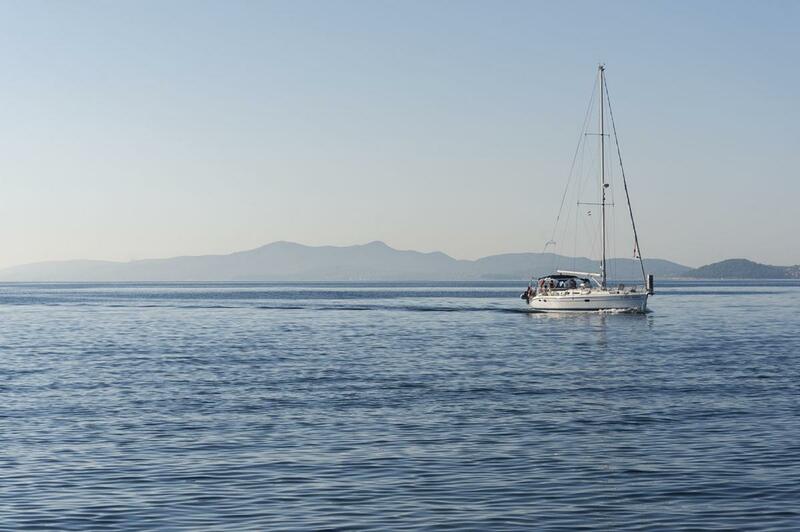 You can stop your sailboat somewhere different each night, enjoy a drink as the sun slowly dips into the sea, before falling asleep with the gentle rocking of the waves all around you. Ok, but what to do if you don’t have a sailboat? 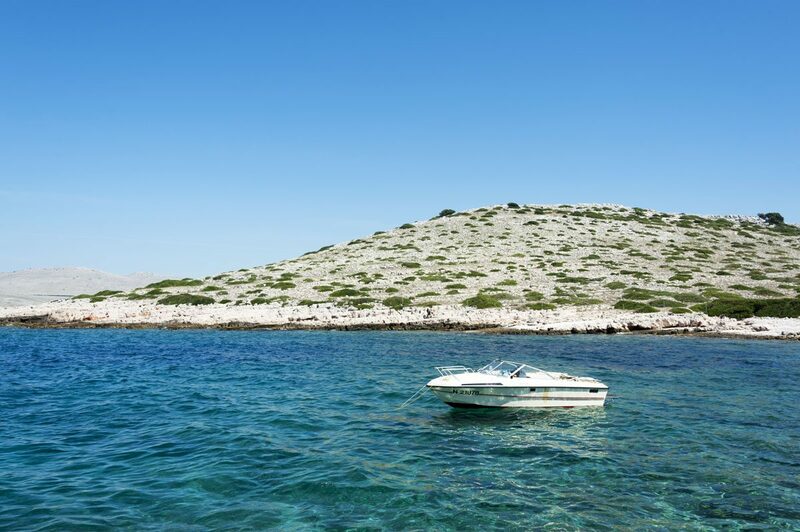 There’s nowhere to stay on the Kornati islands save for private houses, and of course, the best place to see and enjoy the national park is from the water. 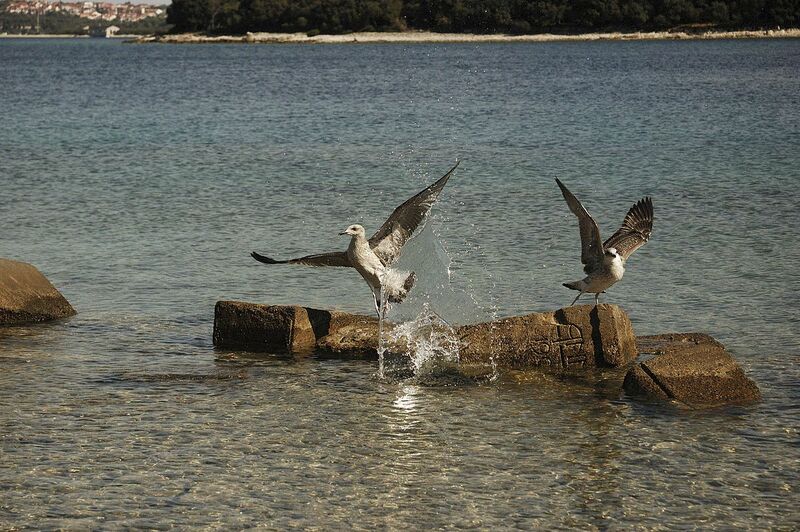 Your best bet will be joining a day trip from Zadar. 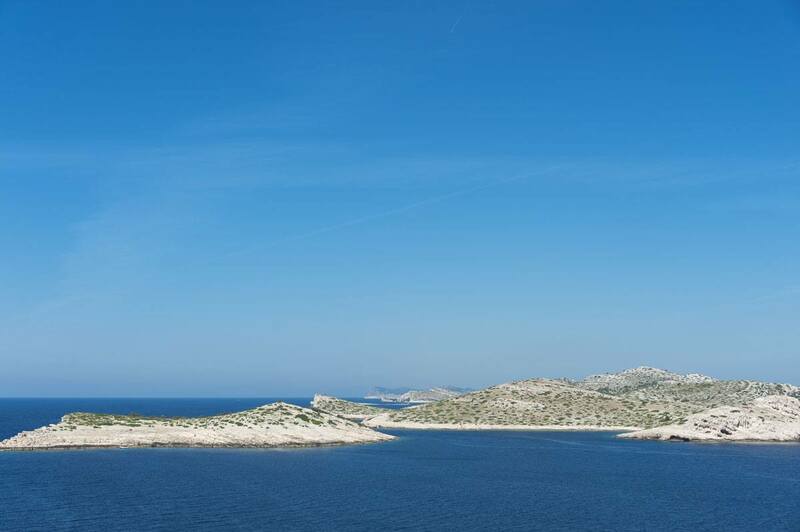 There are dozens of operators offering day tours of Kornati National Park in Zadar, but beware of those offering cut-price half day tours, as they don’t actually enter the archipelago area. 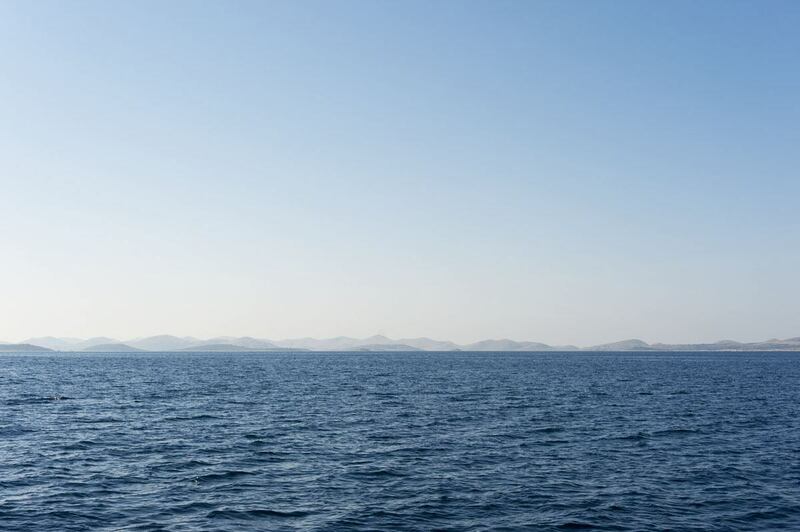 Sailing to Kornati takes around two hours from Zadar – so you’ll see, it’s simple maths. A half day tour is not quite feasible. We took a day trip with Kornat Excursions on the Plava Laguna ship, owned by charismatic Branko. If you visit Zadar and spend some time around the Marina Borik area, you might notice a long-haired dude on a bicycle advertising tours to Kornati. That is Branko, and if you want my advice, book a tour with him! We set off bright and early from Marina Borik, and sailed away from the coast and past the large island of Uglich towards the archipelago, and reached it in the late morning. Coffee, tea and sandwiches were available on board, and it was great to enjoy a late breakfast as we sailed under the warm summer sun. View of the islands from above – would you jump down? The tour included a stop on Mana, a privately-owned island in the heart of the archipelago. The island still has the remains of a 1950s film set, built to resemble a Greek village. 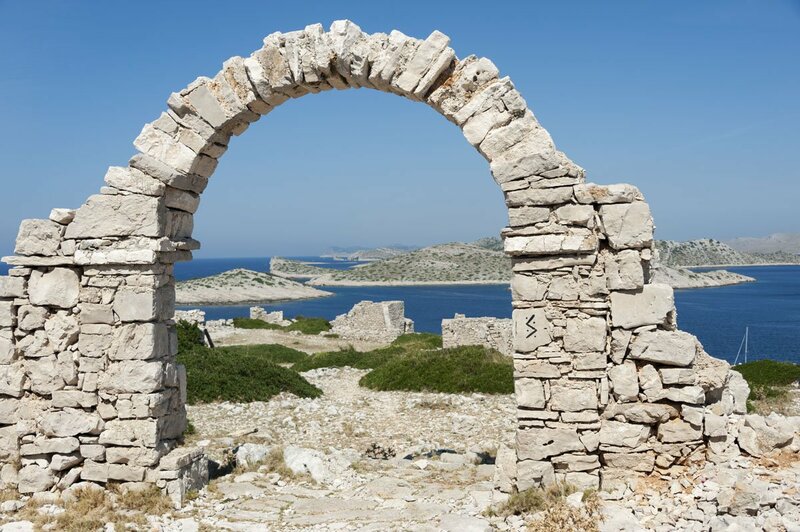 There’s an archway looking over the open sea and some stone walls, slowly crumbling after being exposed to the salt-laden air and wind for half a century. On Mana we also had the choice to swim in a small beach or go cliff-jumping on the far side of the island, where there was a ‘crown’ between 2 and 15 meters high. 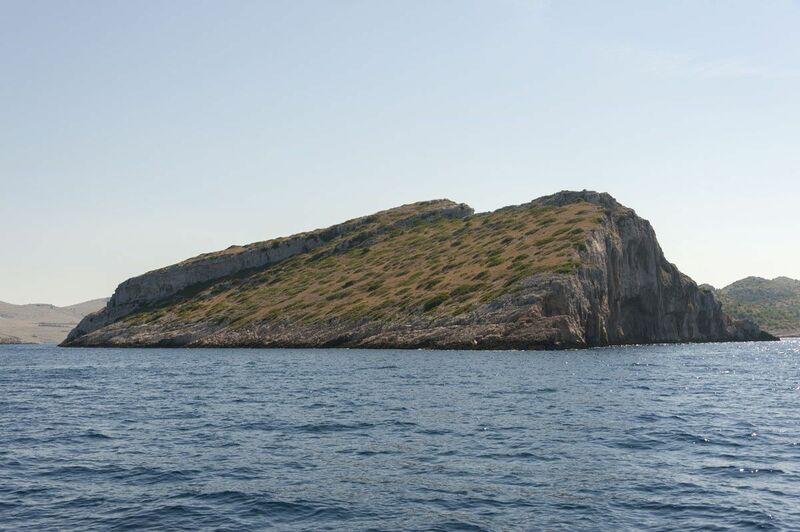 I’m a chicken when it comes to heights so I gave the cliff-jumping a pass, but apparently it’s totally safe, as in Kornati the height of the cliffs above the water is the same as the depth of the sea. So, if you’re jumping from 5 meters, the sea bed should be 5 meters deep or more – still, I think it’s better to opt for caution. After a refreshing dip we headed to lunch in another small island where we enjoyed a meal of grilled fish and vegetables. I appreciated that the needs of vegetarian passengers were quickly met without a fuss. The food was simple but tasty and plentiful; after lunch and another panoramic tour of the islands, we started making our way back to Zadar. The tour on the Plava Laguna cost 375 kn, equal to €50. We visited in late August and there were about 25 other passengers on the boat, giving us plenty of room to move about, enjoy sitting on the deck as we sailed then moving inside when it got too hot. We thought it was great value for money, and highly recommend the trip. 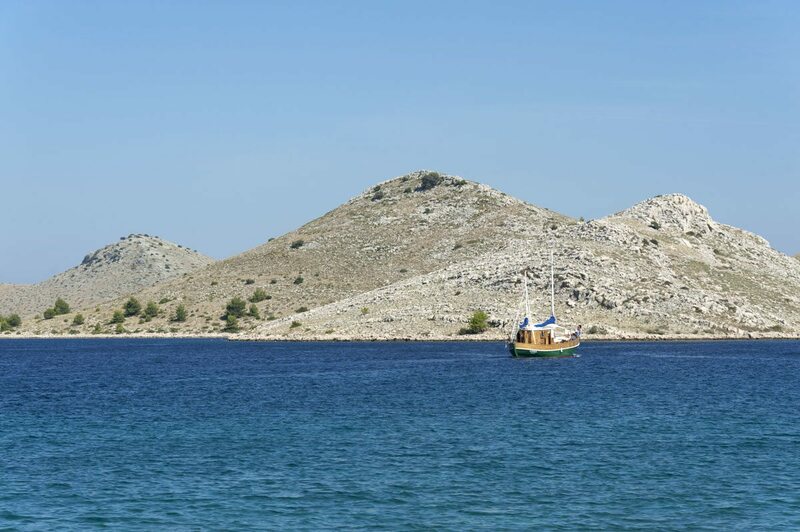 If you fancy a real exclusive Kornati experience, amazing Sarah-Jane from Chasing the Donkey started organising small group Kornati tours on a luxury speedboat. 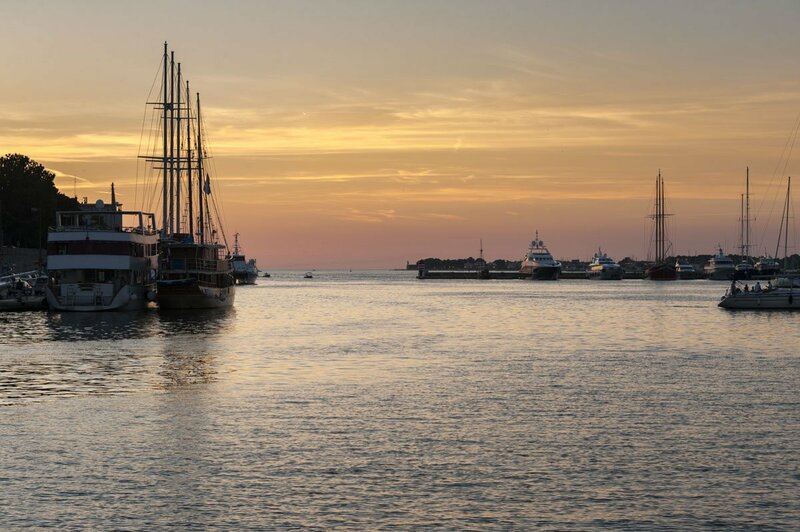 These tours have a maximum of eight passengers and allow you to spend longer around the archipelago, as sailing there from Zadar takes only 45 minutes instead of two hours. You would also get a gourmet food and beverage tasting to start the day and a veritable Croatian regional feast at lunch, and Sarah-Jane will be your guide. 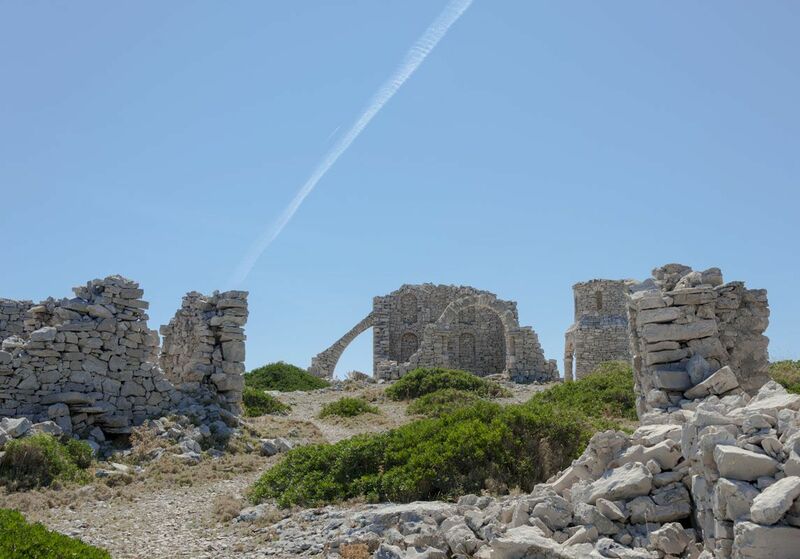 Have a look at Chasing the Donkey’s tour page for more info on their Kornati tours, as well as info on prices and departures. 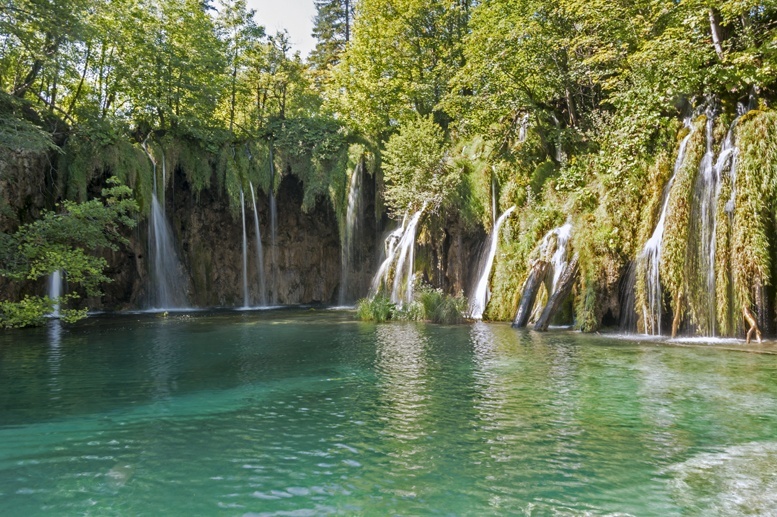 Plitvice Lakes is Croatia’s most visited national park, a mountain wonderland of 16 interconnected lakes linked by rivers and waterfalls. The water is very high in minerals, making the lakes change colour – from emerald green to aquamarine, from cobalt blue to azure, depending on the light. 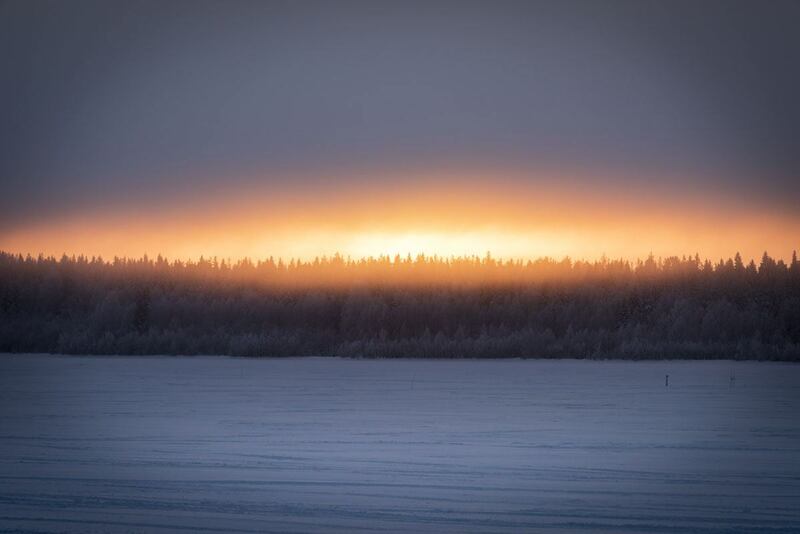 The spray of waterfall turns into golden mist, painting the surface of the lakes with shimmering lights. It’s a magical place – paradise for lovers of hiking, photography, nature. Or even just for lovers. Plitvice is one of the most romantic places we’ve ever visited, where you walk on rickety walkways over lakes as clear as mirrors, surrounded by waterfalls and huge, wild woods. Plitvice is also Croatia’s largest national park, and only a small part of its 300 square kilometers is open to visitors. Beyond the tourist boundaries lies a forest wonderland where lynx and wild cats still roam, and where Tito’s former villa is slowly being recaptured by the wilderness. There are two entrances to the national park, and buses stop at both. Entrance 2 usually sees shorter queues, but if you’re visiting outside of summer it shouldn’t be an issue. The 16 lakes in Plitvice National Park are divided in two sections, the upper and lower lakes. 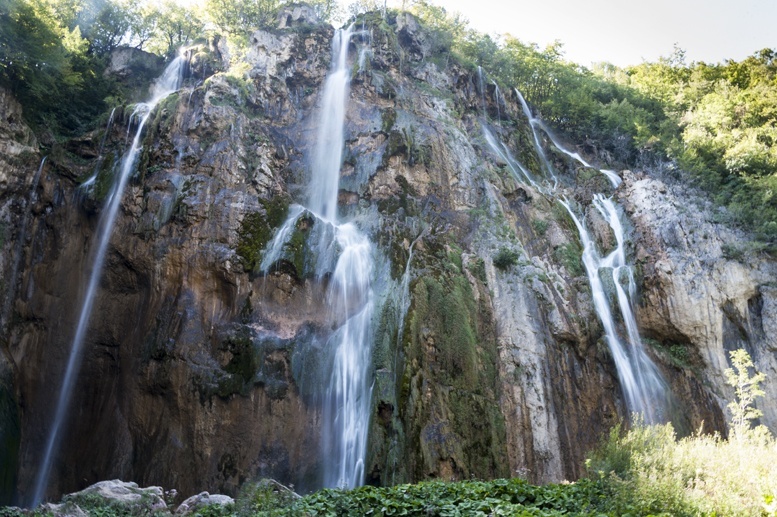 The lower lakes are closest to entrance 1 and they’re hemmed in by granite cliffs, creating spectacular waterfalls like Veliki Slap, the highest in Croatia with its 78 meter drop. Trail A circles the two lower lakes, descending from the cliff top to the lakes, crossing the one of the lakes on a wooden platform and then climbing again. Trail B follows the same path but also reaches Kozjak lake, the largest lake in Plitvice marking the separation between upper and lower lakes. You can take a boat across the lake and a ride a small train back towards entrance 1 without extra charge, as they’re included in your entrance ticket. Walking trails A and B takes a couple of hours, so it’s a feasible option for a half-day trip. But listen to yours truly – don’t miss the upper lakes, where you’ll the paradisiac scene I described before. Entrance 2 is closest to the Upper Lakes. If you want to get an overview of the whole of Plitvice, but don’t want to tire yourself too much, I recommend following Trail H, nearly 9 km long and taking between 4 and 6 hours. 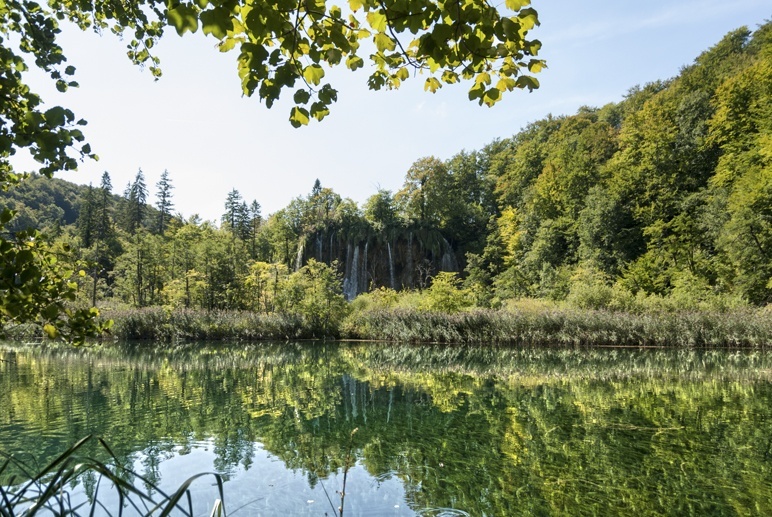 That’s what we did – check our Plitvice Lakes post for a detailed account. Have you had enough of waterfalls? I haven’t! The longest trail of them all is K, over 18 km long, taking visitors all the way to the top of the northernmost upper lake. It’s probably too long for a day trip, and recommended only if you’re staying in the Plitvice area as it takes over 8 hours to complete. 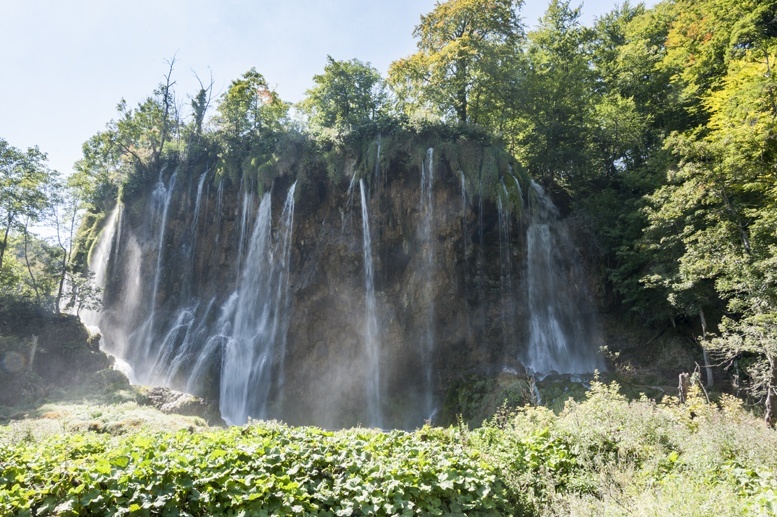 Check the official Plitvice site for info on all the various trails found in the park. Plitvice is roughly half way between Zadar and Zagreb and can be reached from both cities in about two and a half hours by bus. Buses from Zadar are infrequent so a day tour is not recommended, unless you want to ride around like a headless chicken trying to see everything in under 4 hours. If you’re staying in Zadar, you can rent a car for a day or take a tour; alternatively you can choose to spend a night in one of many guesthouses near the national park. The pretty waterfalls of Plitvice look soooo inviting for a dip on a hot summer day… but unfortunately, swimming is severely forbidden. 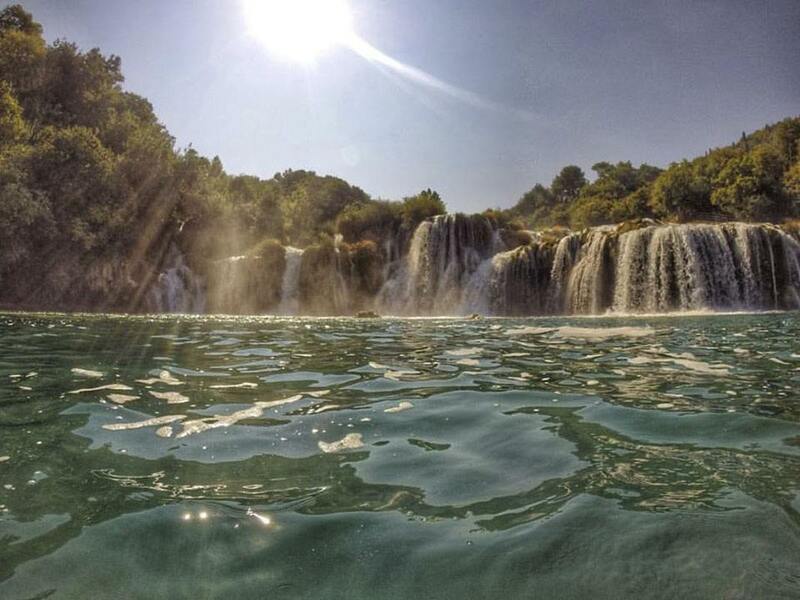 If you fancy swimming in a waterfall, your best bet will be heading to Krka National Park, the youngest of all Croatia national parks (established in 1985) and an excellent option for a day trip from Zadar. 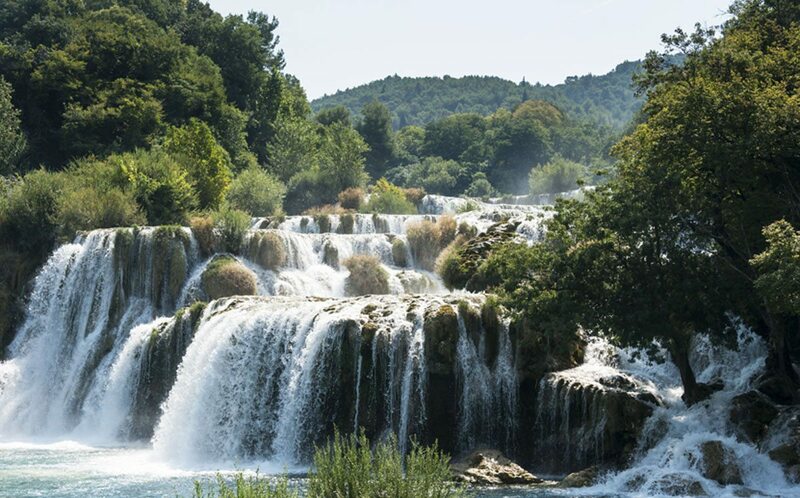 Krka’s claim to fame is Skradinski Buk, a multi-tiered wedding cake-like waterfall tumbling into an aquamarine pool, where swimming is allowed! And on a sunny day, there’s really no better place to be. Lie on the grass listening to the water cascading through the rocks, sit with your feet in the pool, looking at butterflies flitter through the rainbows and the shining mist. 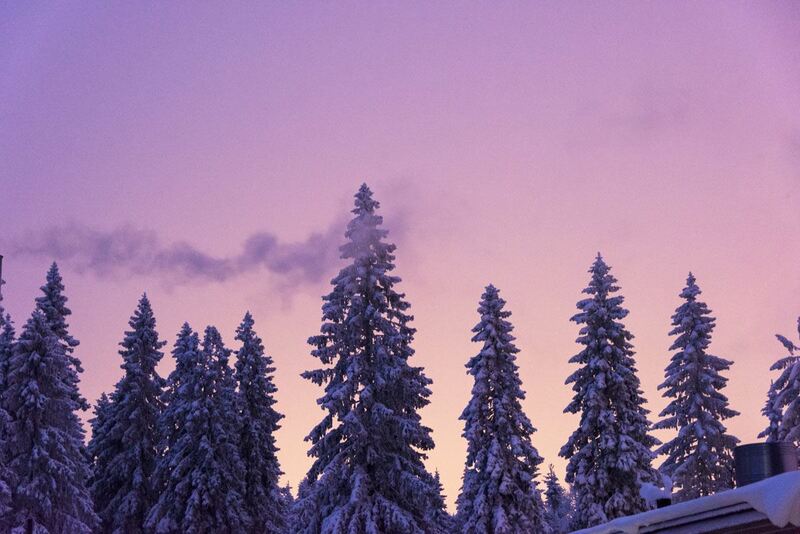 Who needs beaches and islands when you have this? 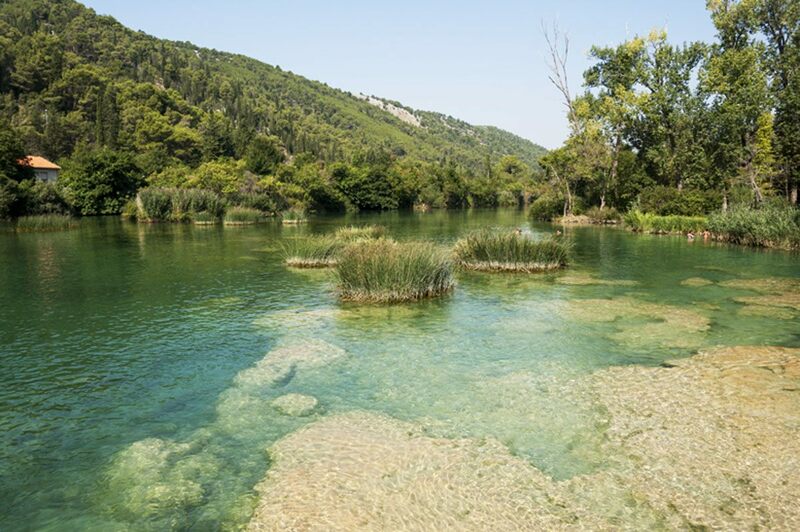 Krka is much smaller than Plitvice and you’ll have no problem visiting all the national park in one day. Access is by boat from the pretty village of Skradin. Boats depart when full (about every 20 minutes or so in high season) and take you upriver to the national park entrance. 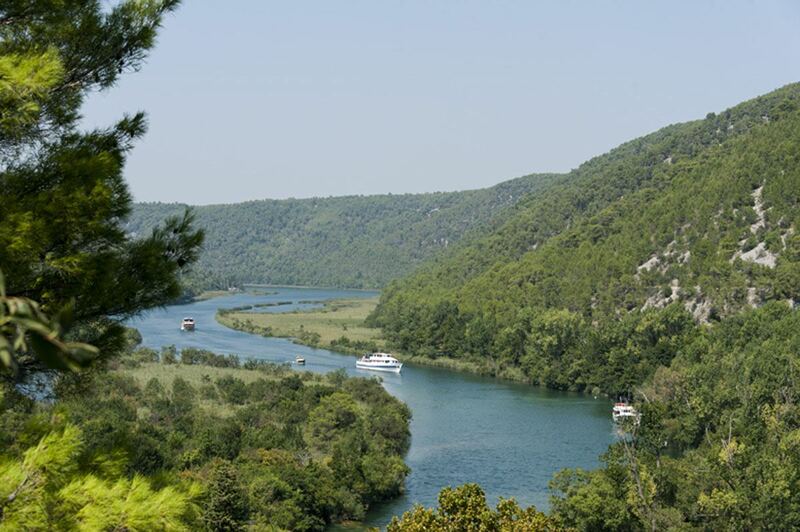 Krka sees fewer visitors compared to Plitvice, but it still gets busy in July and August. The entrance is very close to Skradinski Buk, the place where you are allowed to swim – so my advice is going swimming straight after you arrive, as most tour buses take visitors across the park first, and give time for swimming later. After your dip, take the trail uphill heading to the top of the waterfall and get your camera ready for the smaller waterfalls that flow into Skradinski Buk. The trail then takes you past the ruins of a former hydroelectric power station, dating back to the early 20th century. The now abandoned villages around the Krka waterfalls were the first in Croatia to have electricity. Their inhabitants had been harnessing the power of the waterfalls and fast-flowing river for centuries, as shown in an ethnographic exhibition reenacting life in a village. The last section of the visit takes visitors through the upper sections of the waterfalls, where wooden platforms have been set up to allow visitors to walk over the rivers in total solitude, surrounded by the sounds of the wind rustling the leaves and the birds singing on the branches. Skradin is about 45 minutes drive from Zadar, and in high season there’s a daily bus between the two cities, making day trips feasible. Otherwise you need to connect buses in Sibenik. You can also spend the night in Skradin, and enjoy some Croatian village atmosphere. Another national park very close to Zadar is Paklenica, a quick drive from town. Inland from Zadar you’ll find the Velebit mountain range, separating the coastal part of Croatia from the rest of the country. 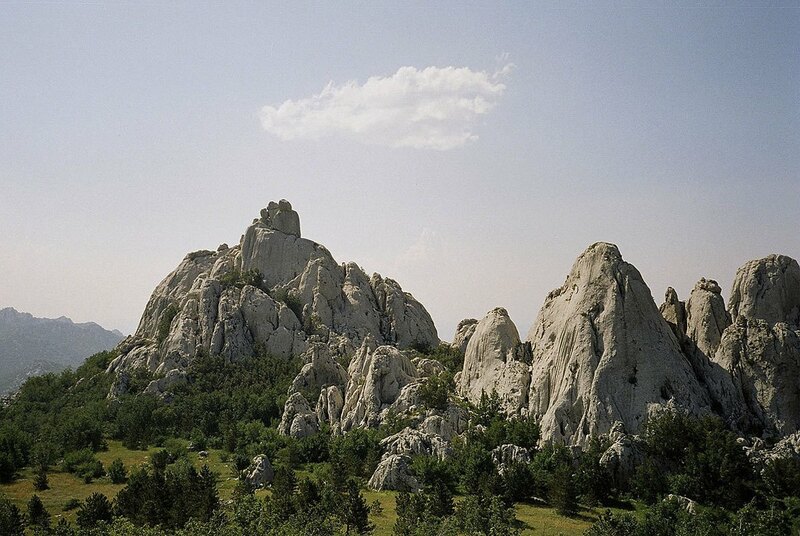 Paklenica National Park is made of two river canyons on the southern slopes of the Velebit mountains. The most popular activities in the park are hiking (there are a whopping 200 km of marked trails), climbing (loooove it) and caving (amazing). During our trips to Krka and Plitvice we actually drove past Paklenica, and as mountain lover we really wished we could visit. So, why didn’t we? Paklenica is a very dry place, and it gets sunny and extremely hot in summer – meaning you pretty much have to carry your body weight in water. Hiking is recommended only outside the hotter months, so sadly we had to give it a pass. We are planning to return very soon, though – meanwhile, read this awesome post about Paklenica National Park on Chasing the Donkey! Another mecca for mountain lovers! Sjeverni Velebit National Park is located in the heart of the Velebit mountains, roughly halfway between Zadar and Rijeka. The park offers incredible biodiversity – for this reason, part of it was designated as a botanical garden. You can find several cycling and hiking paths, as well as mountain huts within the national park where you can spend the night. 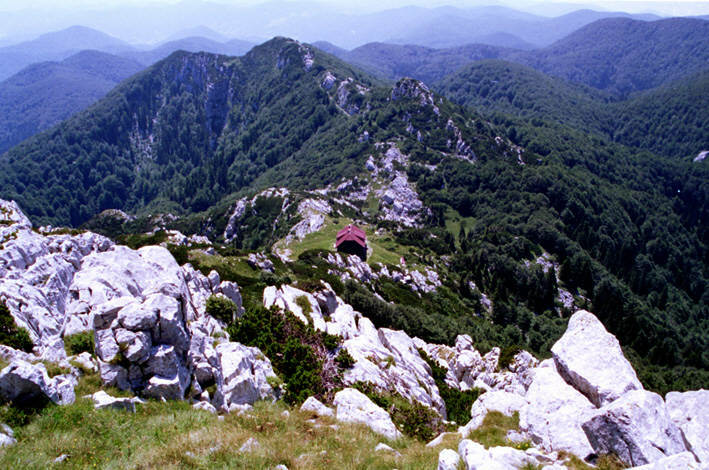 The national park site offers a great overview of the different fauna and flora you’ll be likely to encounter on the trails – FYI, lynx, wolves and bears also live in the bark border, as does an endemic species, the Velebit leech. Sjeverni Velebit is also said to be one of the locations in Croatia with the clearest skies, and stargazing outings are organised in summer when the conditions are right – advance booking is compulsory. Read here for more info. Brjuni National Park is the northernmost Croatian park, a group of 14 islands located just off the coast of Pula in Istria. In this national park you can enjoy nature and learn about history. 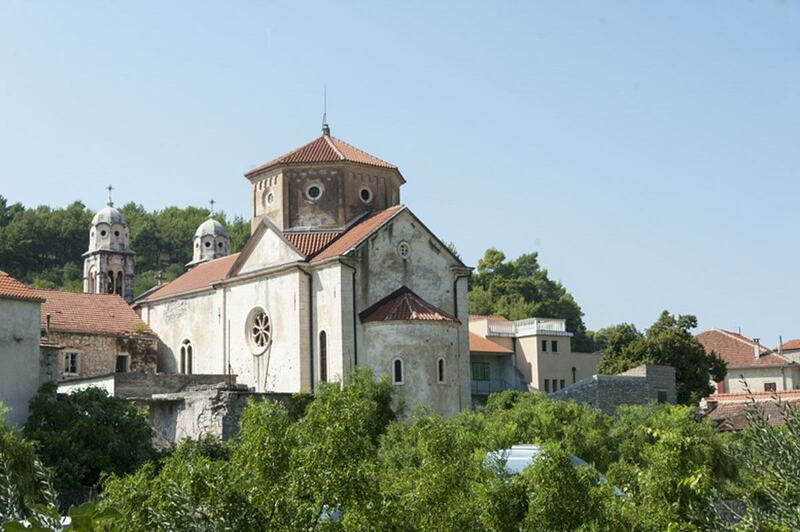 In one island, you’ll find dinosaurs footprints, in another there’s a Roman villa, a Byzantine castrum and St Mary’s Basilica, the oldest Christian building on the island. A very interesting activity in Brijuni is the educational underwater trail, a snorkeling tour off the coast of the island of Veli Brijun showcasing underwater archeological sites and the marine environment. It’s a guided tour and participants are given special mask and snorkels with a headset to listen to a commentary underwater. Brijuni also has a safari park, a panoramic train and the opportunity to practice various sports – especially golf and tennis. This is possibly Croatia’s wildest and most remote national park. 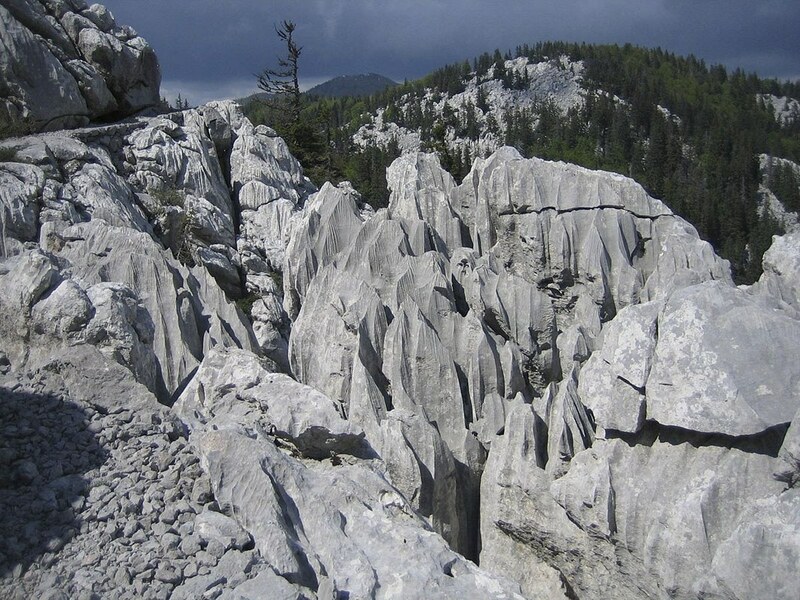 It’s located in the most mountainous region of the country, between Istria and the Slovenian border. The name Risnjak probably comes from ris, the Croatian word for lynx. Indeed, lynx roam the woods and mountains of this national park, alongside wolves, bears and deers. It sounds like one of the last wild European wonderlands, and there are cabins and observatories within the national park to maximise the chance of sighting some animals. Another popular activity in Risnjak is fly fishing in the river Kupa, but make sure to get a ticket beforehand. 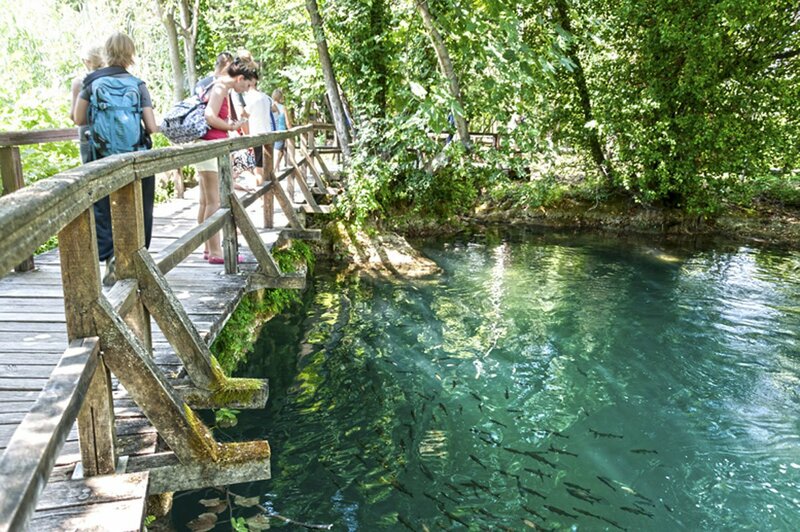 You can also visit the sources of the river Kupa, a turquoise pond around 50 meters deep. 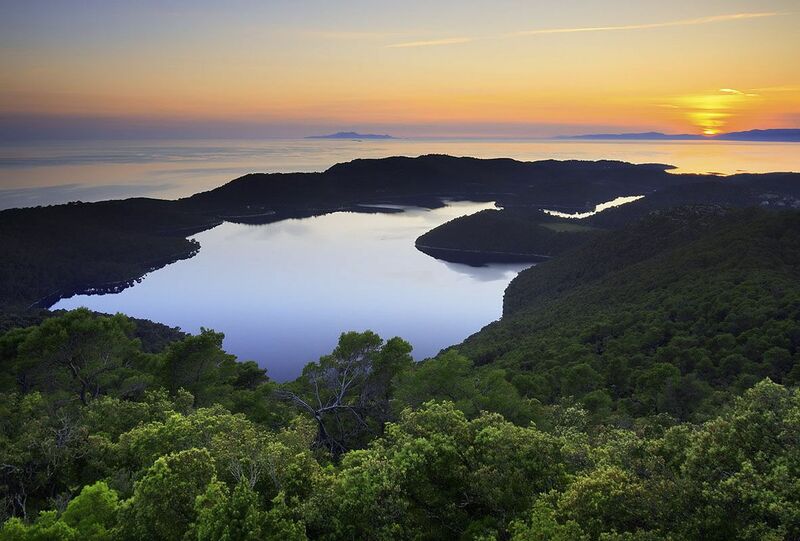 From Northern to Southern Croatia, Mljet National Park is a popular day trip from Dubrovnik, to escape the tourist madness of the popular walled city (especially in summer!) 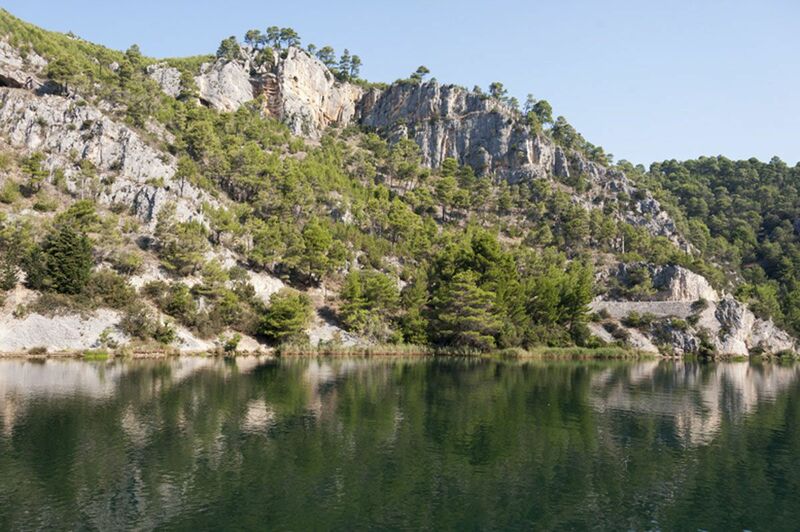 The park is located in the northwestern section of Mljet Island, and the park area includes two salt lakes. In the middle of Veliko Jezero (literally the ‘big lake’) there’s an island with a Benedictine monastery – those monks sure know how to pick a cool place to live! In this national park you can choose between various activities: kayaking, cycling, hiking and swimming, and the sea is usually warmer than on the Croatian mainland. Motor vehicles are forbidden anywhere in the national park – sounds like heaven! 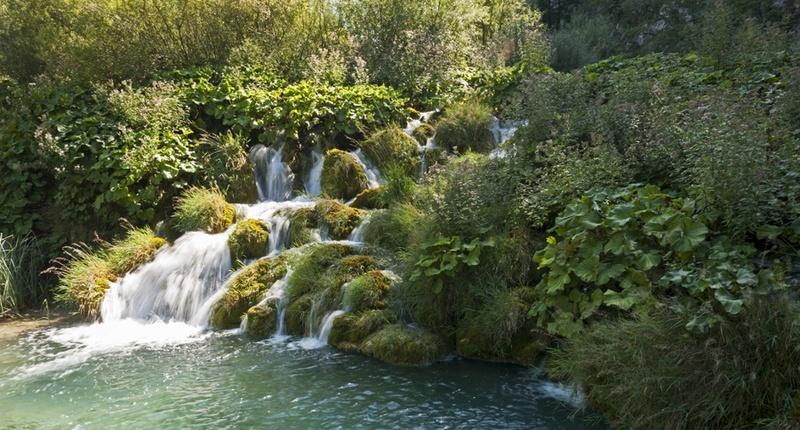 Have you been to any of these Croatia National Parks? Let us know in the comments! We’ve visited Croatia a few times, but like most people, we suspect, we’ve focused on Dubrovnik and the coastal medieval towns. 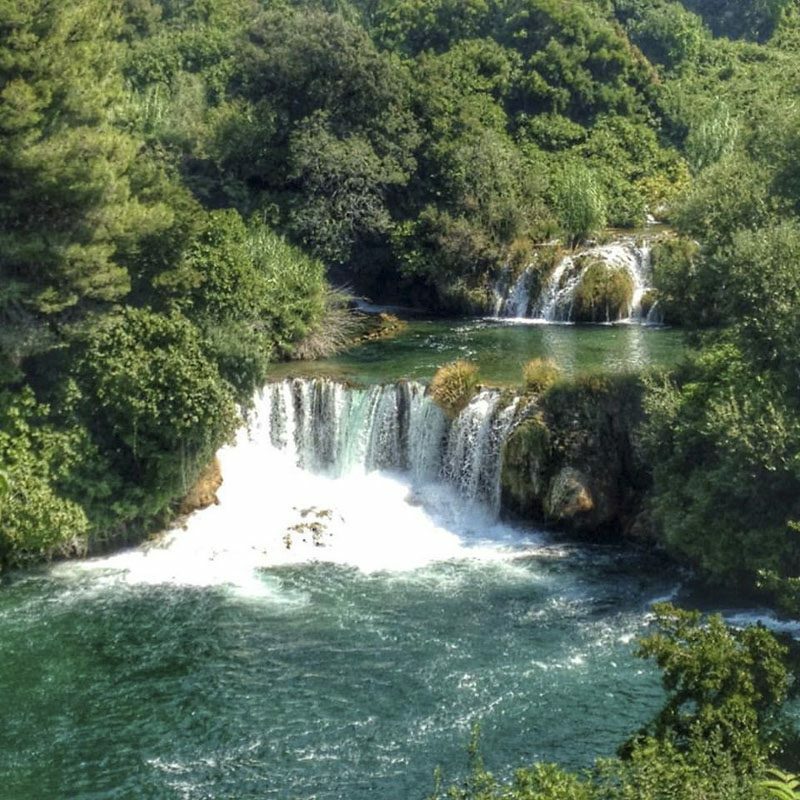 We did get to Krka, however, and see those beautiful waterfalls! It would be lovely to explore more of Croatia’s national parks. We love the country, the food, the scenery! National parks in Croatia are breathtaking! 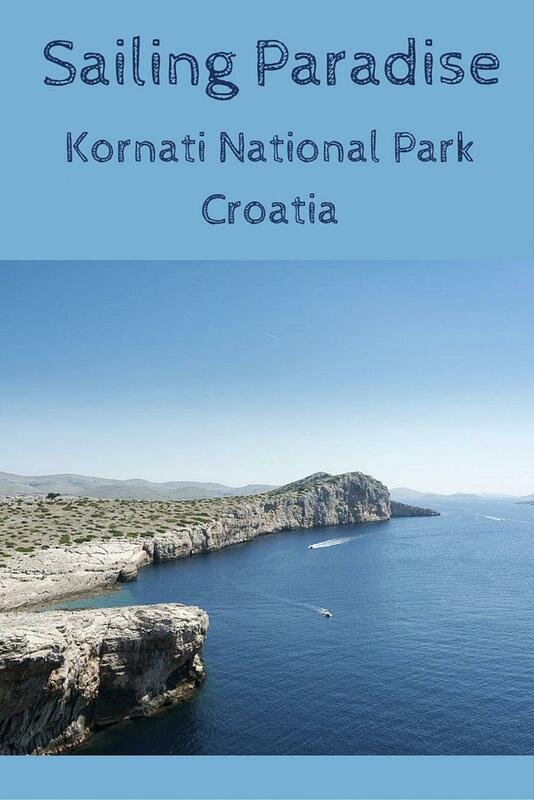 The water in Kornati National Park looks so inviting, your post has me day dreaming at work.